New game becomes available for our platform by Levi Buck. Soon after we published Live Game Board prototype version our early adopter game developer Levi Buck has prepared his augmented reality game for our platform. 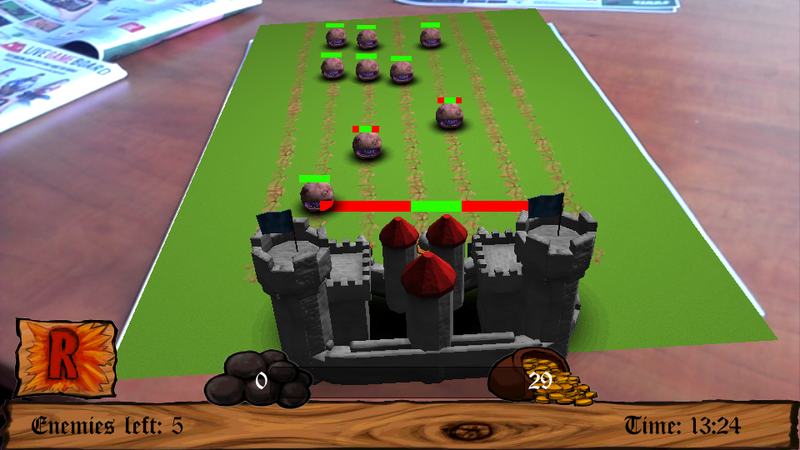 Fight of the Castle is classic tower defence game but it is played in Augmented reality which makes it more enjoyable. Everything is happening on your table and you can play the game from all angles. “I think the Live Game Board is the way AR games should be played. There is no need to print out a dozen of papers to use for each game. Everyone on the Live Game Board knows how to play. I lose 90% of my costumers to people not willing to take so much effort for a single game, or just not knowing how it works. With the Live Game Board, this is completely changed, playing AR games has never been so much fun!” Levi Buck creator of the Fight of the Castle. Now with Fight of the Castle you can enjoy 2 augmented reality games on Live Game Board prototype. We are excited to see Live Game Board to start serving its purpose of being base for multiple games. More games are on the way to deliver our promise “One board, a lot of amazing games”. Enjoy. 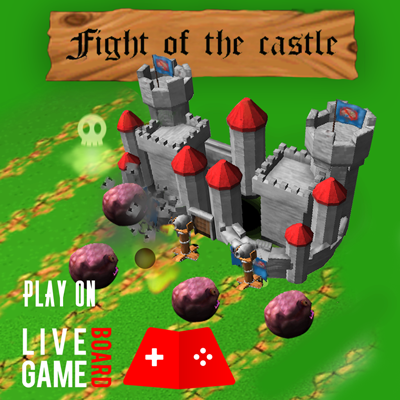 Download the Fight of the Castle game here. Live Game Board first release version is still being finalized and more games are being prepared until it reaches production stage. Stay in touch.